Here is the announcement for the 2019 WV Scholastic Chess League. Team play is on January 19 and 26. The individual tournament is on February 9. 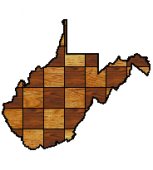 There will be an announcement forthcoming for the 50th WV Scholastic Chess Championships on March 24 once the details are finalized. This entry was posted in News on October 9, 2018 by wvchess.